I don't always peel tomatoes for my salsa BUT I do for my sauces. 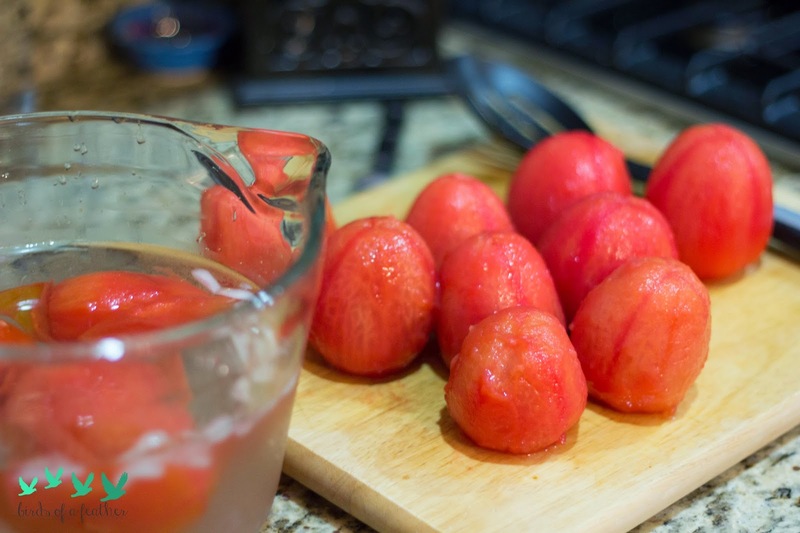 I peeled these tomatoes for my Spicy Red Pepper Marinara sauce that I can't wait to share with you! 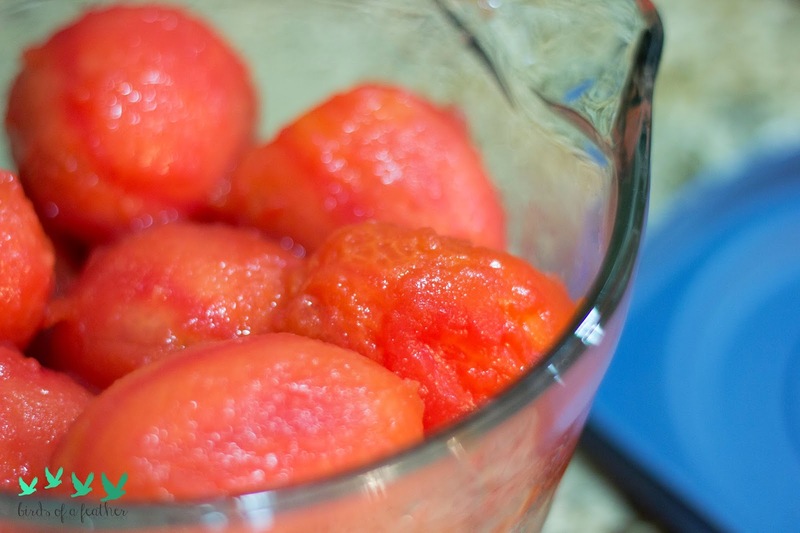 You can use these tomatoes right away or freeze them for a fresh tomato sauce later on. You can follow these steps for any kind of tomato, but I used roma tomatoes. 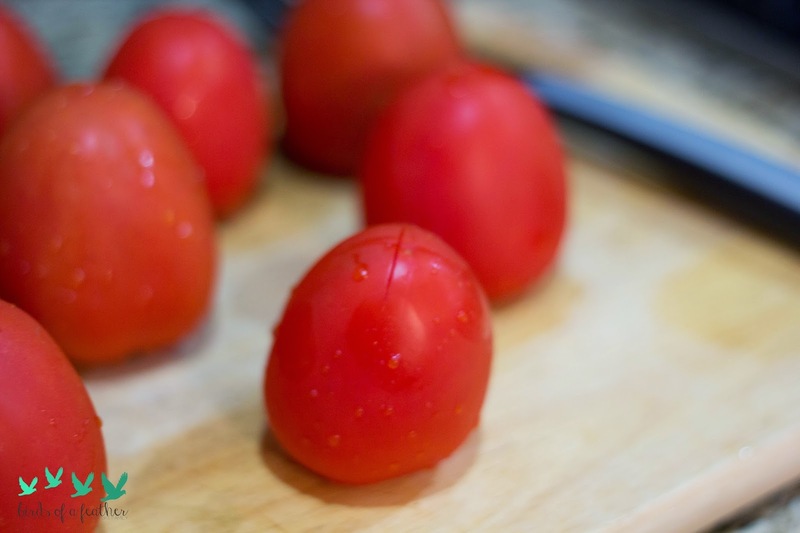 Score your tomatoes (make an x on the top) with a paring knife. Don't cut too deep, just pierce the skin. 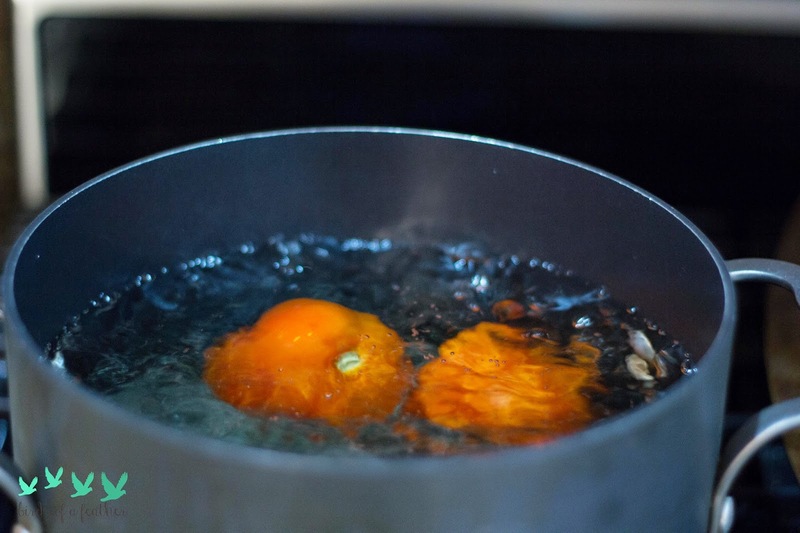 Bring a pot of water to boil and put 2-3 tomatoes in at a time. The cool temperature of the tomatoes will lower the temperature of the water so don't do too many at once otherwise you'll have to wait for it to boil again. 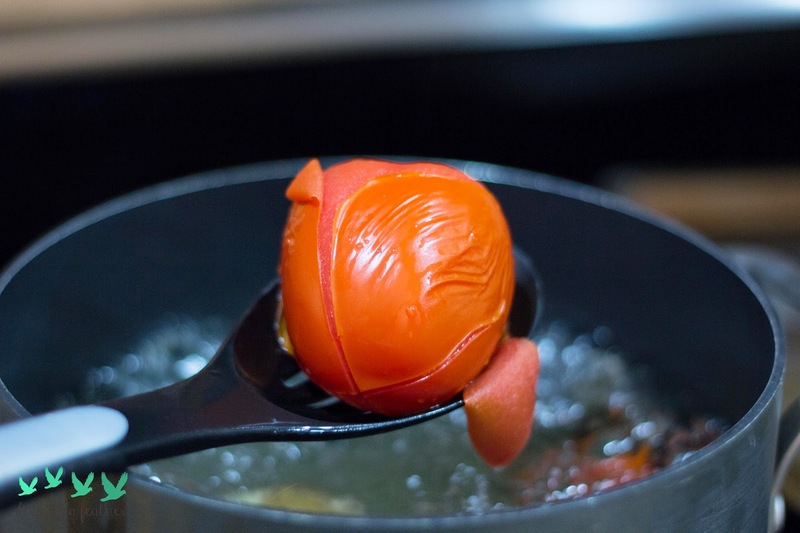 Boil the tomatoes for about a minute or until you see the skin start to peel away. Scoring the tomatoes allows the skin to come off so much easier! But don't touch, it's hot! 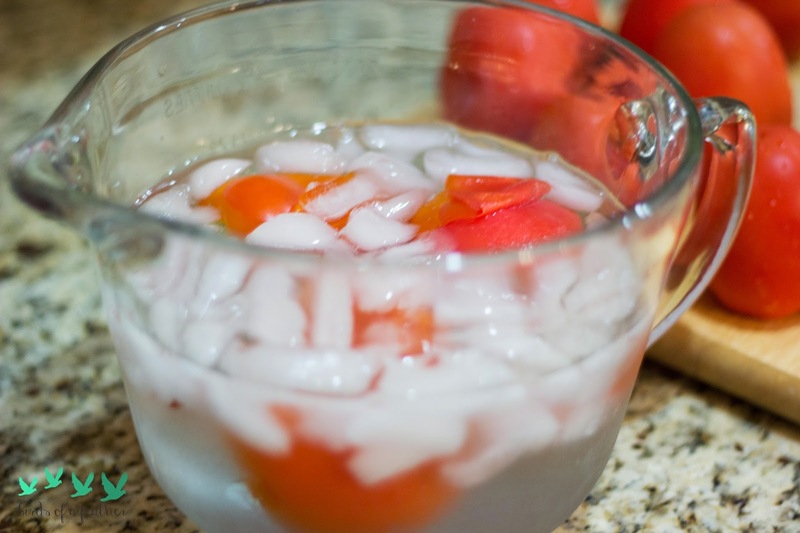 Place the tomatoes immediately in ice water to cool them. 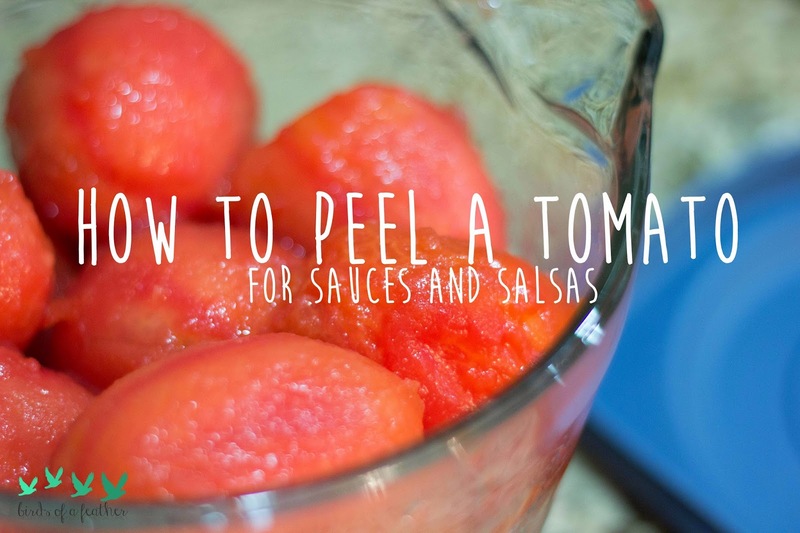 The skin comes right off but the tomatoes are still firm. 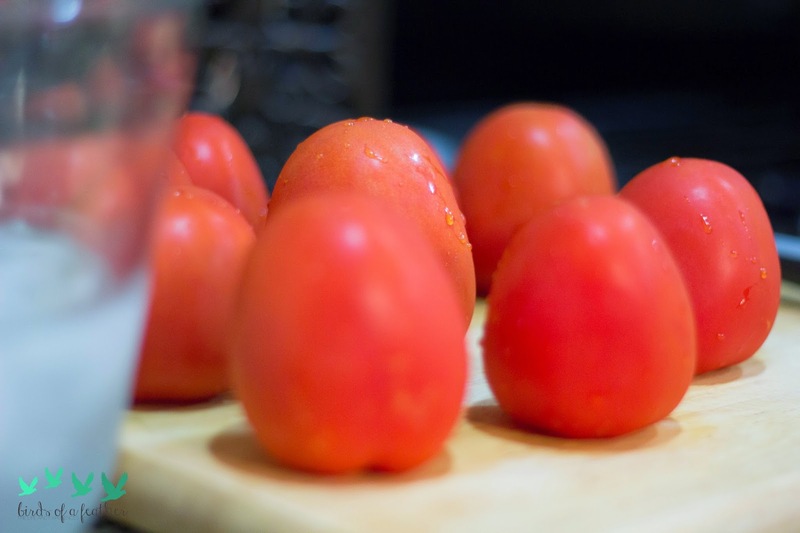 Toss them in the pot or store your tomatoes in the refrigerator or in a freezer storage bag in the freezer. Stay tuned for my Spicy Red Pepper Marinara!